Regardless of the procedure, the most important thing is having the patient use the surgery to introduce new changes. Each of the surgery helps to keep hunger and portion sizes in balance, yet the rest is in the patient’s hands. Bearing this in mind, there are some distinctions between the surgeries. Below, you may find some information to think over when choosing the right surgery. An invasive laparoscopic procedure, various areas of the abdomen are involved. Changes processes of digestion. Some types of foods are not tolerated. Regarded as “set and forget” procedure. Nowadays, there are various options for weight loss and choosing the right one is of great importance. Here you may find basic information about the most common gastric procedure done abroad. There are three most commonly performed weight loss surgery, namely Roux-en-Y gastric bypass, gastric band and sleeve gastrectomy. All of them have both advantages and disadvantages and none of them results in quick, undemanding weight loss. 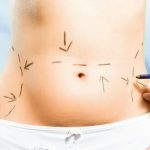 Along with these procedures, you must be able to stick to a diet and exercises so that you will achieve desirable effects as surgery is only a tool in losing weight. In order to be qualified for the surgery, your BMI must be 40 or more or 35 with co-morbid conditions like heart disease. The gastric band is an invasive weight loss surgery. During the procedure, a surgeon uses an inflatable band just to squeeze the stomach into two parts: a smaller pouch and a bigger lower section. These two parts are strictly joined by a small channel whose main function is to hold up the emptying of the upper part. Majority of patients may only eat a ½ to 1 cup of food and the food also should be soft and chewed thoroughly. Advantages: this type of surgery is simpler to perform and safer than gastric bypass vs banding. It only leaves a small scar, recovery time is faster, also gastric banding is reversible. Moreover, the band can be adjusted at the doctor’s office. In order to tighten the band and consequently limit the stomach size, the surgeon injects the saline solution to the band. On the contrary, if loosening is required, the surgeon removes liquid from the band with the use of a needle. Disadvantages: Those who underwent gastric banding surgery are said to experience less rapid weight loss than those who had other surgeries. Moreover, after a few years, there is a possibility that lost weight may regain. Risks: one of the side effects you may experience after gastric banding is vomiting after overeating. Also, issues with the band may occur, for example, it may slip out of place, become too loose or may leak. Like with other surgeries, infections may occur and some complication may occur to be life-threatening yet it is rare. Gastric sleeve is another restrictive surgery for weight loss. During the surgery, a surgeon removes about 75% of the stomach. The remaining part of the stomach is a narrow tube or sleeve which fastens together the intestines. In some cases, a sleeve gastrectomy is the first choice in a series of weight loss procedures. For some patients, gastric sleeve is the only one needed. Advantages: This type of surgery is especially for those who are obese or other weight loss surgeries appeared to be too dangerous. A gastric sleeve surgery is a less sophisticated surgery carrying fewer risks when it comes to weight loss. If it is necessary, a patient who lost on weight and his health significantly improved, after 12 to 18 months he may be able to undergo another surgery, for example, gastric bypass. Due to the fact that intestines are not affected, a gastric sleeve does not influence the way the body absorbs food, therefore, you are unlikely to lack nutrients. Disadvantages: Contrary to gastric banding, the gastric sleeve cannot be reversed. Due to the fact that gastric sleeve is a relatively new technique, the long-term advantages and risks are still to be evaluated. Risks: infections, leaking of the sleeve or blood clots. Gastric bypass is a combination of restrictive and malabsorptive approaches. During the surgery, a surgeon creates two pouches from the stomach closing the upper pouch from the lower one. Then, the surgeon combines the upper stomach with the small intestine. Basically, the shortcut is created for the food which bypasses part of the stomach and small intestine. Therefore, due to omitting these parts the body’s ability to absorb calories is lower. Advantages: Weight loss can be really fast. On average, 50% of it takes place during the first 6 months. It may be prolonged up to 2 years following the surgery. Due to dramatic weight loss, conditions related to obesity like diabetes, high blood pressure and arthritis, sleep apnea, and heartburn- usually improve quickly. Studies have shown that gastric bypass has also positive long-term effects, for example, patients are able to maintain their weight up to 10 years. Disadvantages: The amount of food you used to eat will not be absorbed as it was before the surgery, therefore it poses a danger of not receiving enough nutrients. For instance, deficiency in calcium or iron may cause osteoporosis and anaemia. You need to pay attention to your diet and probably take supplements. Another potential risk which may occur after gastric bypass is a dumping syndrome in which food goes too fast to intestines before it is even thoroughly digested. On average, 85% of patients experience dumping and the symptoms include nausea, bloating, pain, sweating, weakness, and diarrhoea. Dumping syndrome is often caused by consumption of sugary or high-carbohydrate foods and sticking to diet may tackle these issues. On the contrary to gastric banding, gastric bypass is a non-reversible procedure, although it was reversible in some instances. Risks: Due to the fact that gastric bypass versus gastrectomy is more complex, it also carries more risks, for example, blood clots, hernias which should be treated afterwards. Moreover, you can get gallstones due to quick weight loss. If you are considering affordable weight loss surgery abroad, which gastric surgery is best for me and which gastric surgery is the safest you definitely need to consider Poland as one of the destinations. With highly experienced surgeons and newly equipped hospital, your stay will be comfortable. 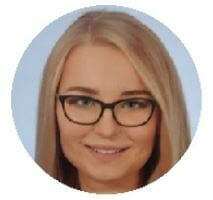 If you would like to know more information about the gastric surgery in Poland do not hesitate but contact Beauty Poland- our customer advisor will be glad to help you with. Justyna is a very open person and likes to talk to people. That’s why she decided to become a patient adviser. She has comprehensive knowledge about medical procedures performed abroad. Diet after weight loss surgery – What to eat after gastric surgery? Is capsular contracutre after breast enlargement dangeorus?